People move–sometimes further than one really expects. Emma Cawiezell was a native of Davenport, Iowa, who went to New York City to become an actress around 1892. She died there a year later. There were no family stories about her travelling to New York City and it took me a while to find her. People sometimes leave their comfort zone searching a new career, a new life, or greener pastures? 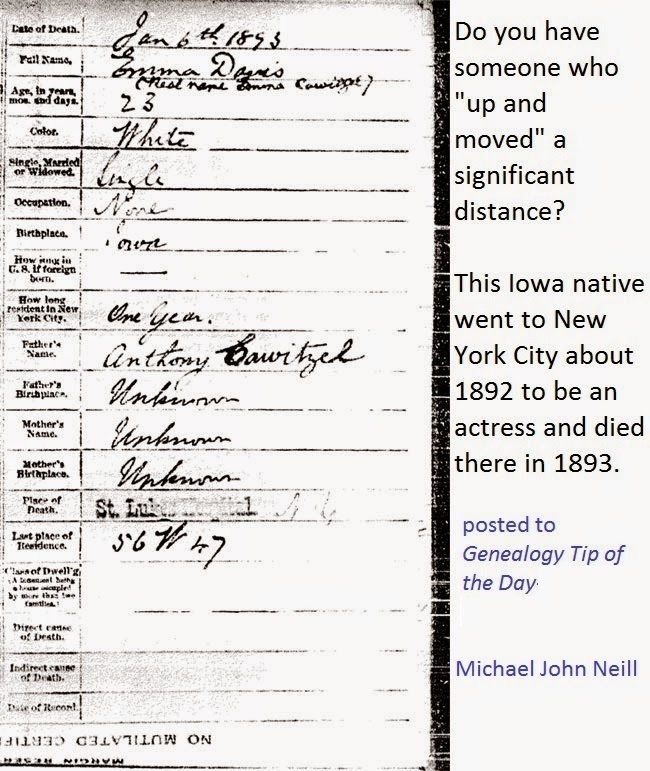 Is it possible that your relative “up and moved” in some atypical fashion? Most of the Cawiezells were farmers in rural Scott County, Iowa. I never dreamed one of them ended up in New York.